I had an interesting experience a few weeks ago that has been on my mind since then. I observed a man that had dealt with a serious addiction for many years. Because of this addiction and choices he made, he had lost everything that was most dear to him, including his wife and children. 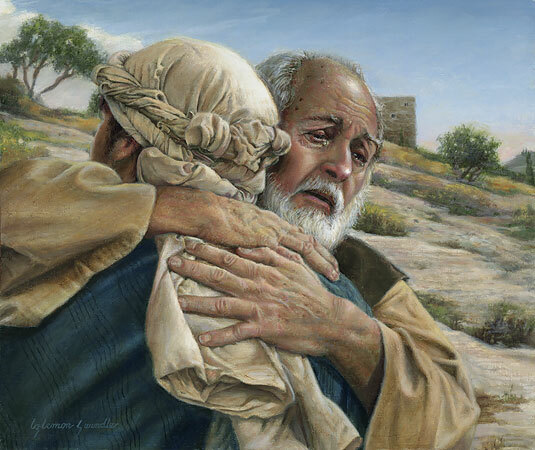 Like the prodigal son, he eventually “came to himself.” I believe he reached the point where he recognized that he needed a major course correction. He realized that he could not have peace or happiness while being enslaved to addiction. He was fortunate to know that help was available, and with that help and consistent effort over a long period of time, he began to turn his life around. His wife and children returned to him, and he now is enjoying the peace and happiness that eluded him for so many years. I was impressed with this man’s humility and can’t think of anyone with a stronger conviction of the miracle of forgiveness. Although I do not know all of the details of his conversion, I believe that his humble conviction and quiet strength were developed through prayer and fasting, scripture study, pondering, forgiving, sincerely repenting, and seeking the Savior. I feel fortunate to not be enslaved to the typical vices, but I think that the less obvious “sins” of omission carry with them their own set of challenges that can be just as difficult to overcome. Elder Bednar said it well: “Sometimes I wonder if in our latter-day world of ease- in our world of microwave ovens and cell phones and air-conditioned cars and comfortable homes- we ever learn to acknowledge our daily dependence upon the enabling power of the Atonement.” Perhaps my addiction is to comfort and to complacency. I am amazed when I witness miraculous changes in others and hope that I too am learning to rely on the Savior’s power to change me.